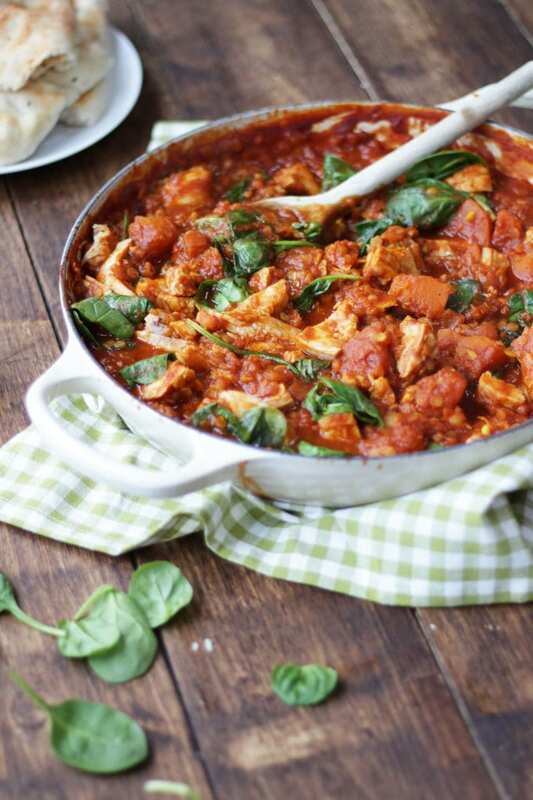 Leftover Turkey Curry Recipe – The perfect post Christmas dish, easy, quick, deliciously tasty. 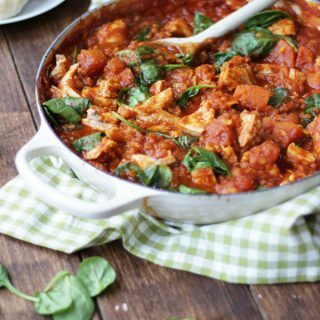 This wholesome turkey curry has added lentils, butternut squash and spinach for a dose of extra veg. It uses the cold, cooked turkey from your roast for a really special curry. I love Christmas food, but surely, one of the best bits is the leftovers isn’t it? Cold meats, (leftover turkey obviously), sausages, delicious desserts and cheese. This is the meal that keeps on giving. We feast for a good few days on Christmas lunch leftovers. There’s something incredibly comforting and reassuring about delving into the fridge and happening upon leftover treasure in there. Apart from bubble and squeak, one of my favourite Christmas dishes is this Leftover Turkey Curry recipe. It’s easy, quick, healthy (no cream!) and packed with veg, for a dose of goodness after all of those mince pies. How do you make Turkey Curry? This Leftover Turkey Curry recipe is so easy to make. You make a simple curry sauce with onions, garlic, ginger, turmeric, curry powder and passata. Along with the sauce goes in butternut squash (or whichever similar vegetable you fancy), plus the leftover turkey, lentils and spinach. I also add in some mango chutney for sweetness. It’s so simple to make and really delicious. Perfect for the whole family. If you don’t fancy making this Turkey Curry recipe (or if you do and STILL have mountains..) turkey sandwiches are one of my favourite leftover foods all year! Turkey also works well anywhere that leftover chicken does. So soups, pasta bakes and sauces or pies. Please tell me it’s not just me that gets this excited about leftovers or kitchen wares for that matter?! 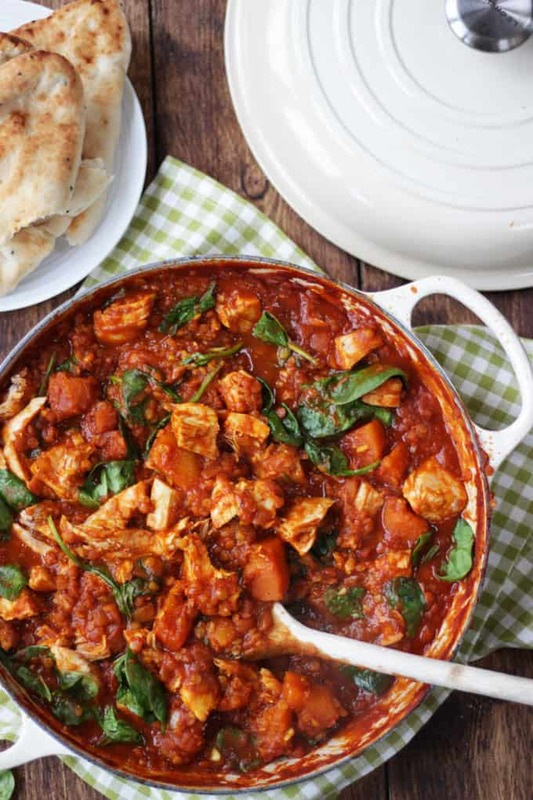 Fancy some other easy curry recipes? How about my Slow Cooker Beef Curry or Easy Lamb Mince Keema? Hope you enjoy this recipe as much as we do. I’d love to know how you got on and what you thought of it if you make this Leftover Turkey Curry recipe. Please rate the recipe and leave me a comment below if you do. 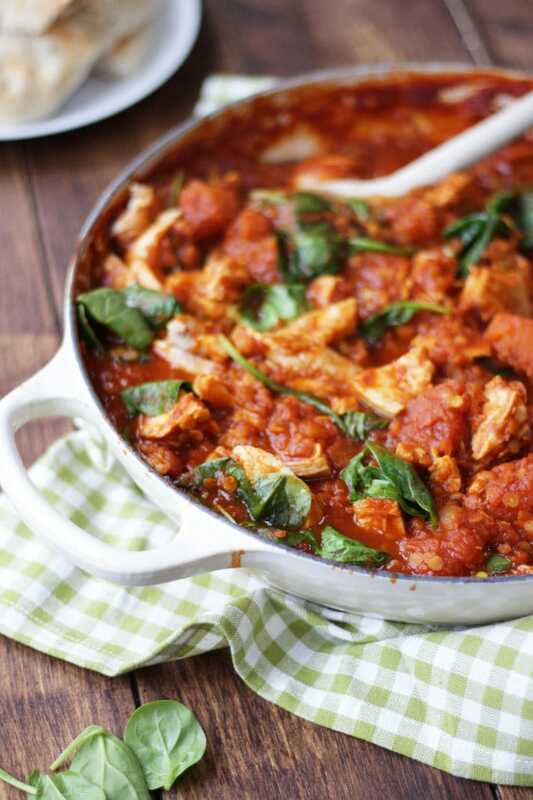 Leftover Turkey Curry Recipe - The perfect post Christmas dish, easy, quick, deliciously tasty. 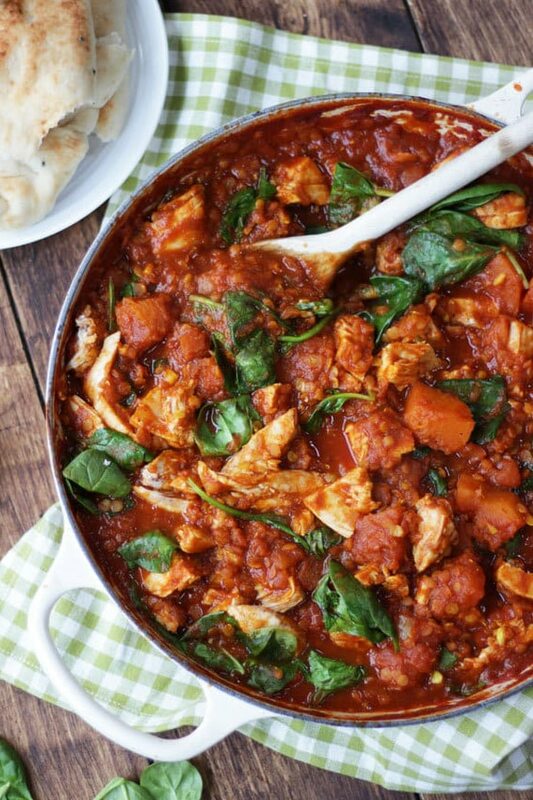 This wholesome turkey curry has added lentils, butternut squash and spinach for a dose of extra veg. It uses the cold, cooked turkey from your roast for a really special curry. Rice poppadoms, more mango chutney. Add the onions, garlic, ginger, tumeric and curry powder and cook gently for about 15 minutes until sticky and meltingly soft. Add the butternut squash, passata and about half of the stock. Add the lentils, stir well and pop a lid on. Leave to cook down for about 15 minutes. Stir occasionally and add more of the stock as and when needed. When the lentils and butternut squash are soft and cooked through, add in the turkey and mango chutney. Cook for a further 5 - 10 minutes, again, adding a splash more stock when needed. Turn off the heat, add the spinach and pop the pan lid on for 5 minutes until wilted. « Why you really need to visit Lapland..
I’ve had this Le Crueset dish for about 2 years and it’s still in its box so perfect reason so unpack it! Sarah this looks delicious! Love that it has so much goodness in it too, perfect after all my Christmas indulgence!